Available in 50×70 and 70×100 sizes. Holds 3 to 6 panels within which you can choose from pockets of various sizes. It allows you to show much information in reduced spaces. Structure in F.E. steel. 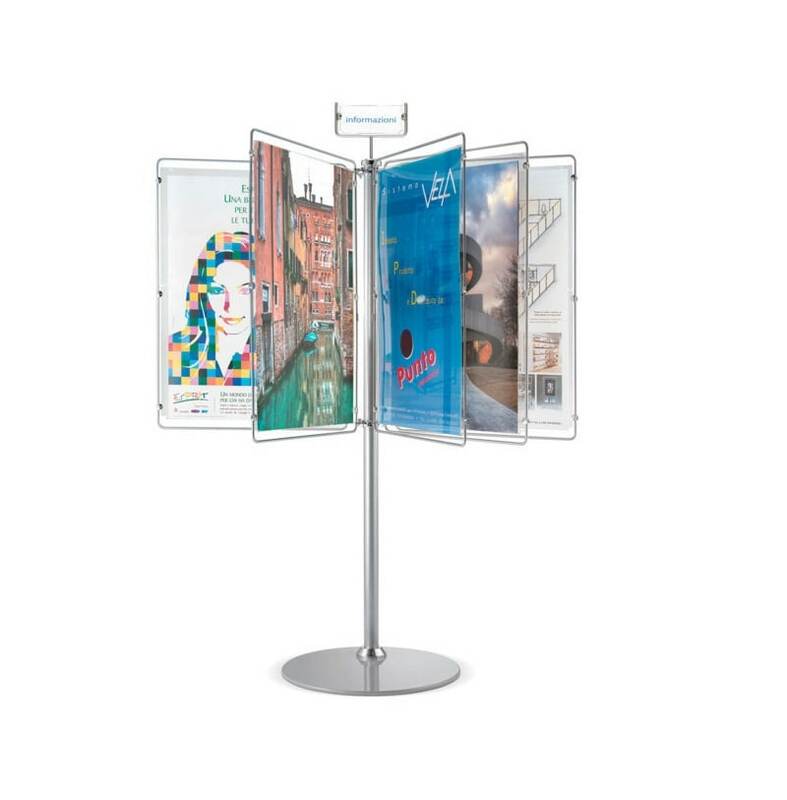 The document-holders in transparent methacrylate 3mm. thick. Accessory parts in brass. Structure carefully painted with epoxy powdered stove enamels of Ral9006 aluminium colour. Accessory parts in brass with steel chromium-plated finish.